Summer Ball Photos - Clark Sanders Photography, Inc. It's time for baseball, softball and t-ball team photos! We have the list of coaches and are currently scheduling team and individual photos! One of the most asked questions we receive every year is, "what is a Memory Mate?" Well, the Memory Mate is an 8x10 print that has both the team and individual photo and is $20. We also get asked about our Trader Cards. You receive 12 cards and it has your child's photo on the front and back and includes their position, name, number, etc. 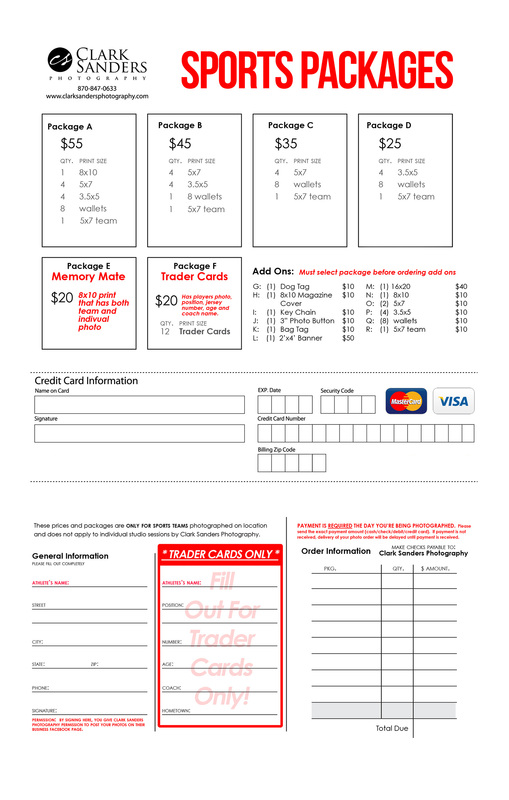 all of which needs to be filled out on the order form ONLY if you're ordering Trader Cards. These are also $20. Kish Pool - I need to schedule Austin's 10U boys team sometime please.